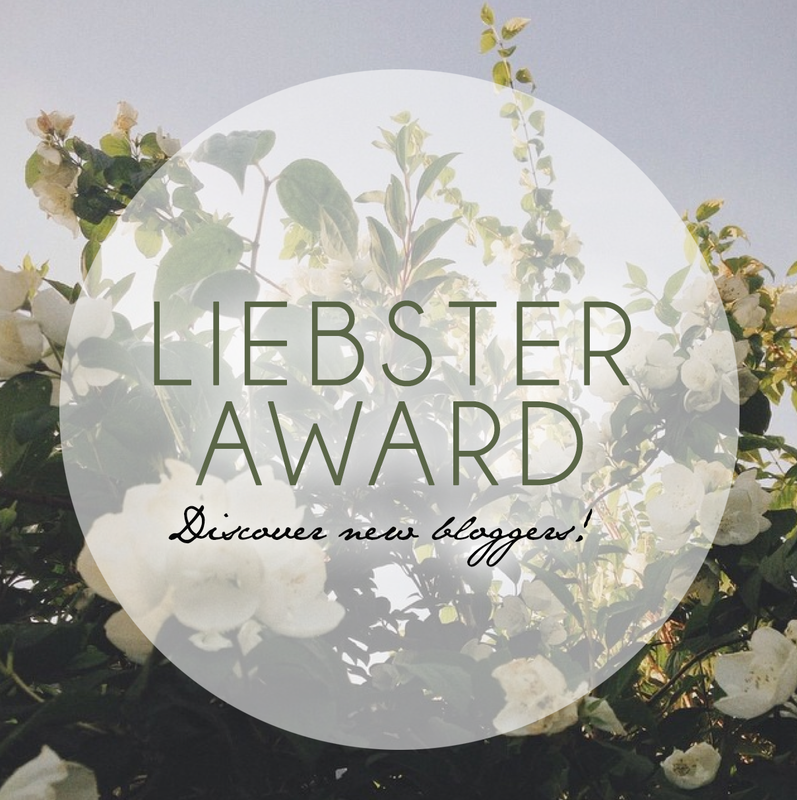 I'm sure most of you are aware by now what the Liebster award is all about, but for those that don't: a blog with less that 200 followers is nominated and given eleven questions to answer. The idea behind it is to discover new bloggers and share a little bit more about your blog. I was nominated by the lovely Rachel from Raytoria, so thank you Rachel! 01- What's your favourite thing about blogging? I love the community that comes with blogging, the friends you make from sharing an interest in it. I also love how much you learn from blogging, since it prompts you to read other blogs more regularly. That's two... I couldn't choose. 02- Who are your blogging icons? VIVIANNADOESMAKEUP and LILYPEBBLES have been my favourites for a long time. I've met both and they're so lovely and inspiring. 03- What is your dream job? I'm about to start training for a diploma in Hair & Beauty with Photographic Makeup, to then go on to Theatrical, SFX and Media Makeup with hair in college. These are building towards a job in theatres doing makeup, which I'd love. Making a career out of blogging would also be incredible. 04- What is the one object you couldn't live without? I'd have to say my camera. I currently use a Panasonic Lumix G2 (more info in my FAQ section), and I'm not sure how I'd manage without aimlessly snapping away on special days. 05- Do you like to travel? If so, what is your dream destination? I love to travel, and I'd love to go on a snowy holiday. That, or New York. I've been to America twice but only Orlando, NY fascinates me and I think I'd enjoy the shopping opportunities. 06- What do you do as a hobby? 07- Describe yourself in three words. I dread these sorts of questions, I'll go for creative, happy and unreserved. 08- What is your favourite quote? I have so many, but the simple 'have a little faith' is big to me at the moment. 09- If there was a movie about your life, what celebrity would play you? This is such a weird question to answer, but if it were down to me I'd have to pick Leighton Meester. 10- Who is your favourite band/musician/artist? I go through phases of different music genres so I could easily say the Arctic Monkeys or Hozier, but I've been listening to a lot of Beyonce and Bruno Mars lately. Glee / Hairspray / Grease / Christmas songs at any time in the year. - Link the person who nominated you. - Answer their questions given to you. - Link and notify these bloggers. - Create eleven questions for them. 01- WHAT IS YOUR FAVOURITE BOOK AND WHO IS YOUR FAVOURITE AUTHOR? 02- AN OLD SONG YOU STILL LOVE? 03- WHEN DID YOU START BLOGGING // WHAT MADE YOU WANT TO START? 04- WHAT IS THE FIRST BLOG YOU STARTED READING? 06- WHAT'S YOUR GO-TO NAIL POLISH? 07- WHAT'S YOUR BEST TRAVEL EXPERIENCE? 08- BEST AND WORST SCHOOL SUBJECTS? 11- FAVOURITE ONLINE SHOPPING WEBSITE? If I nominated you and you write the post, be sure to leave the link below! After being nominated by BEAUTY CHECK - LADY SHAZ (thank you!) I've decided to answer her questions on here, to keep everything together. 01- Why did you choose to blog? After following so many blogs for such a long time and having such an interest in beauty/fashion, it seemed natural to start my own. I love to write and I often have a lot to say about everything, haha! 02- What would you do if you got 1000 followers? Besides from shock and joy, I'm pretty sure a giveaway would be in order. 03- What's your favourite joke? What did the buffalo say to his son when he left for college? // Bison. 04- How would you describe yourself? I like everything artsy, and I laugh a lot. 05- Who's your favourite YouTuber? Lisa Eldridge (although I see her less as a YouTuber and more a general makeup artist) makes incredible videos, I always learn a lot from watching her. 06- What's your favourite novel or book? Shopaholic Ties the Knot by Sophie Kinsella and John Green's The Fault in Our Stars have been my favourites recently, but I'm always changing them. 07- If you could only shop at one store, which would it be? If Boohoo counts, I'd pick that. They sell everything I could need. If not, Forever 21. 08- What do you do in your spare time? Study // watch football // blog. 09- What's your favourite tea flavour? I love green tea but peppermint would probably beat it for me. 10- If you were stuck on an island for one month with only one person, who would it be? If I knew them probably a parent or my brother, or any friend. If we're meaning anyone, perhaps Alexis Sanchez? Ed Westwick? 11- What's your dream job? Theatre makeup artist // full time blogger. I'm not too sure either, but I'll answer your questions and add them to this post to keep everything together! Thanks so much for nominating me. Wow, I love to travel too! (: I'm a newbie blogger myself! Good luck! It's great! Thank you so much, good luck to you too. Thank you! I've followed you on bloglovin.